“Traditionally, where diplomacy and sanctions fail, military force begins,” said Steve Ganyard in ABCNews.com. But it would be almost impossible for the Trump administration to “neutralize North Korea’s nuclear threat without starting a world war.” The U.S. doesn’t know where the Hermit Kingdom has hidden all of its weapons, and may not have the capability to shoot down its ballistic missiles without moving ships into North Korean waters. 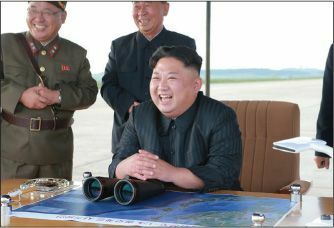 Moreover, it would take a days-long air campaign to destroy the 8,000 cannons and rocket launchers on Pyongyang’s side of the demilitarized zone—giving Kim ample time to retaliate against Seoul and kill hundreds of thousands.